Since it is the first date of the tour, I'd do something introductory in nature about the book and the Tipsy Fairy Tales, kind of an intro thing. Once upon a time, a drunk gamer girl named Skye was possessed by a demon. She got better. But something amazing happened to Skye: she became two people. 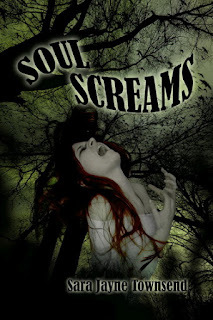 You see, when the demon took possession, it left a little hole where her soul leaked out, just a little bit. When the hole was healed, that little bit became its own person. Because there's no such thing as half a soul. Cut it in two, and you've got two souls, not two halves. This new soul formed a tiny being that lives entirely in the spirit world that opened up to Skye after her possession. The new being looked like a miniature Skye, except squat and sort of Gothic, since Skye's gaming alter ego is a Vampire Baroness, it must have influenced her form. Skye, being a whimsical sort of girl, called the new being “Minnie”, as in her “mini-me”. Minnie took this with good grace, and is Skye's constant companion, like a twin sister or her own Jiminy Cricket. Because Skye's awfully prone to getting into trouble. The only thing about this arrangement is that Skye, having been drunk when it all started, can only properly perceive and interact with Minnie and the world she lives in when she's in a similar state. And it can be vitally important that Skye keep in touch with Minnie and her world, because many things in her own world are not what they seem. 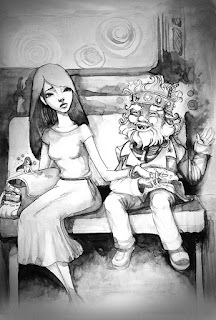 Passengers on the bus who seem like shabby homeless teenagers show their true colors in the spirit world as wolf-people, satrys, and other strange fairy creatures. Oops. Don't use the F-word. No, that one. As Minnie would tell you, “fairy” is a bad word to the creatures in the spirit world. Humans have told far too many ridiculous stories for that word to mean anything close to reality. Call them what you will, these are powerful and dangerous interdimensional entities, not something cute and musical from Never Never Land or Fern Gully. No, the Grimm brothers got some of their stories right; their so-called fairy tales contained bits of truth among the fables. The visitors from the fairy-- I mean spirit world, haven't got the same kind of morals we have, they're all about keeping bargains (like an evil genie) and telling the truth (just not ALL of the truth) and amassing power. And there's power in belief, whether in an ugly truth or a pretty lie. The Tipsy Fairy Tales are set in Skye's home, modern day Indianapolis. She gets around on the bus system, which is ruled by a (mostly) benevolent spirit called the Transit King, a sort of Fairy Godfather who gives generous favors to those in need, with the expectation of calling those favors in one day. So join Skye as her worlds collide and she's set down some dark paths to protect her friends, Minnie, and herself, from the machinations of a very unscrupulous Fairy Queen. Oops, there's that word again. 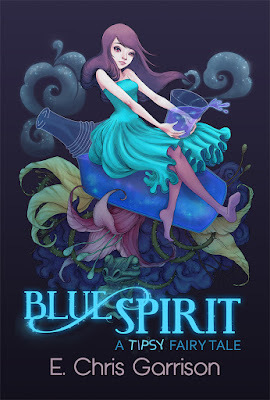 Book Synopsis for Blue Spirit: Gamer girl Skye MacLeod can see fairies, but only when she's tipsy. More Grimm than enchanting, some of these fairies are out to ruin her life, wreaking havoc with her job, her home, and her relationships. With the help of her tiny fairy friend Minnie, Skye has to protect her vampire wannabe gamer friends from all-too-real supernatural threats only she can see. Can she keep it together and hold fast against a wicked fairy Queen's plot? 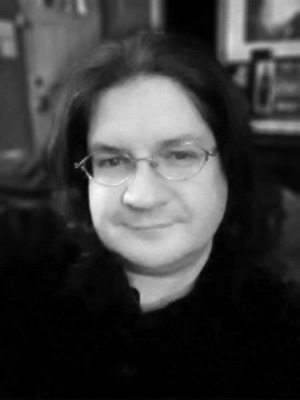 About the Author: E. Chris Garrison (who also writes as Eric Garrison) is active in the writing community in Indianapolis, Indiana. He lives in the Circle City with his wife, step-daughter and a cabal of cats. He also enjoys gaming, home brewing beer, and finding innovative uses for duct tape. Chris’ novel, Reality Check, is a science fiction adventure released by Hydra Publications. Reality Check reached #1 in Science Fiction on Amazon.com during a promotion in July 2013. 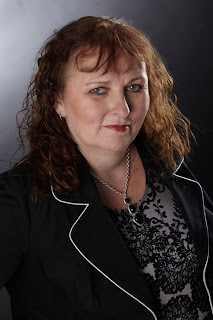 Seventh Star Press is the home of Chris’ supernatural fantasy series, Road Ghosts, including Four ‘til Late, Sinking Down, and Me and the Devil. Thanks for hosting Chris, Skye, and the crew! I love, love, LOVE this book!